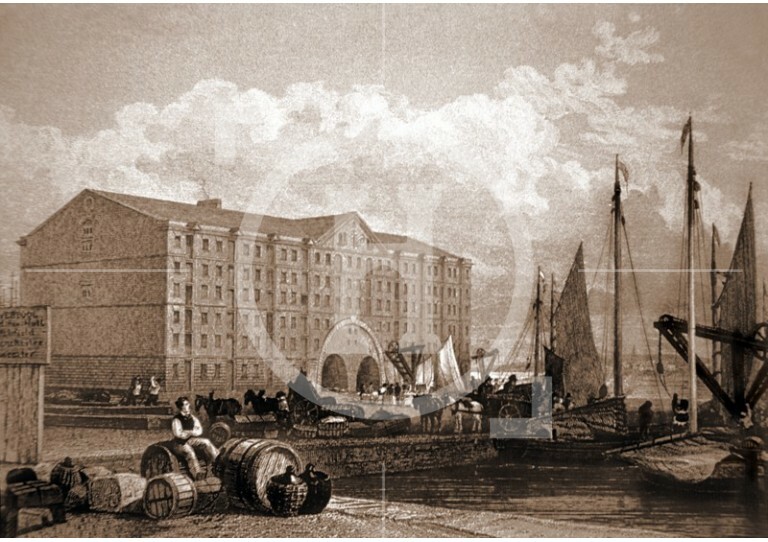 Duke's Dock and warehouses. This dock was constructed for the use of flat-bottomed boats plying the Duke's [Duke of Bridgewater] Canal. 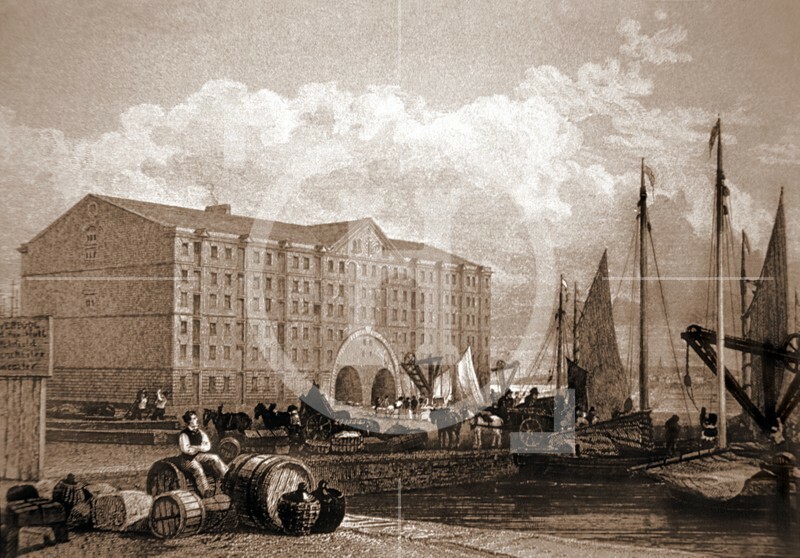 The warehouses were built around the beginning of the 1800s.